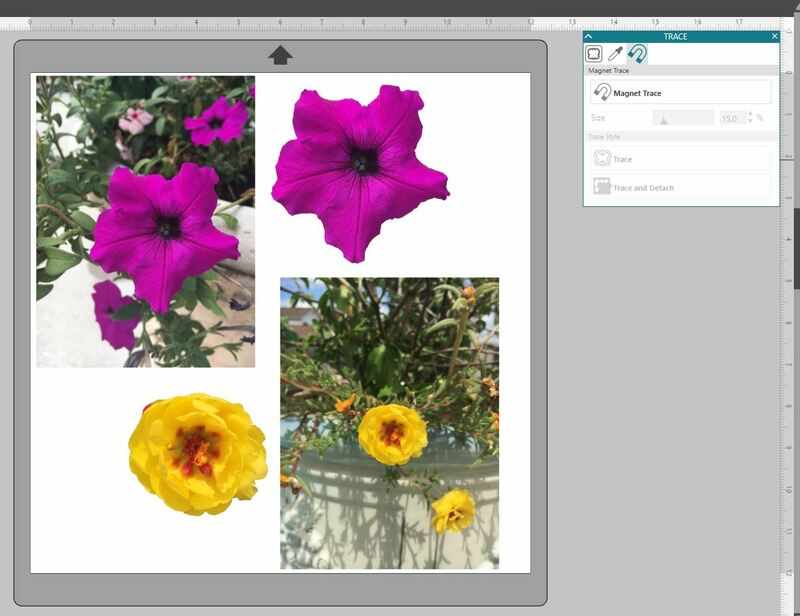 Did you ever want to remove the background from an image in Silhouette Studio? Of course you have! 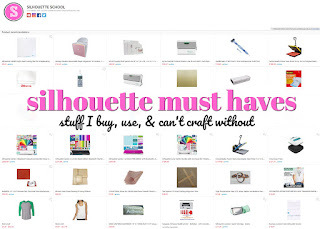 There's no need to use any other software - Silhouette Studio can do it! 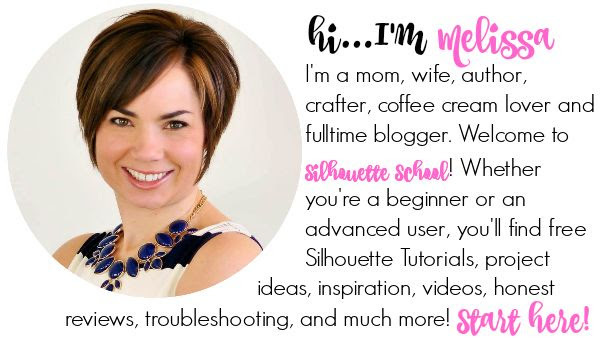 Silhouette School contributor Elly from Silhouette Secrets is here today to explain how to do just that with the help of the Magnet Trace tool. If you have the Silhouette Studio Designer Edition upgrade or higher to the V4 software, you have three trace options available to you - Trace, Trace by Color, and Magnet Trace. The Magnet Trace feature allows you to move around the edge of an object within a photo with your cursor and it will sort of snap to the design you are tracing. 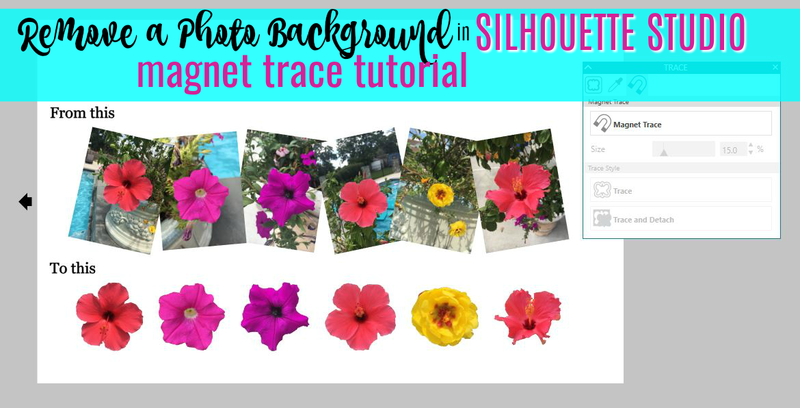 What would you use the Magnet Trace for in Silhouette Studio? Well, after playing around with it for a bit, I found that it worked for removing the busy background from around an object. I opened this flower photo in the Silhouette software and resized it down to fit on my design mat. Open the Trace panel from the right sidebar and then click on the Magnet Trace tab in the Trace panel. Hold down your mouse and start drawing around your object. Your cursor looks for similar colors and magnitizes or snaps to the edge of that color as you move the mouse. The Magnet Trace tool default is set to 50% size and you may need to adjust the size of your tool to get the best trace. I found that by decreasing the size of my magnet trace tool, I had more control over where it snapped to. After you have gone all the way around the design and snap the trace line closed it will turn green indicating your cut line. If you double click the cut line you created you will see the edit points and you can make any adjustments to individual points - moving them in or out to fine tune the trace. Now, there are two options: trace or trace and detach. 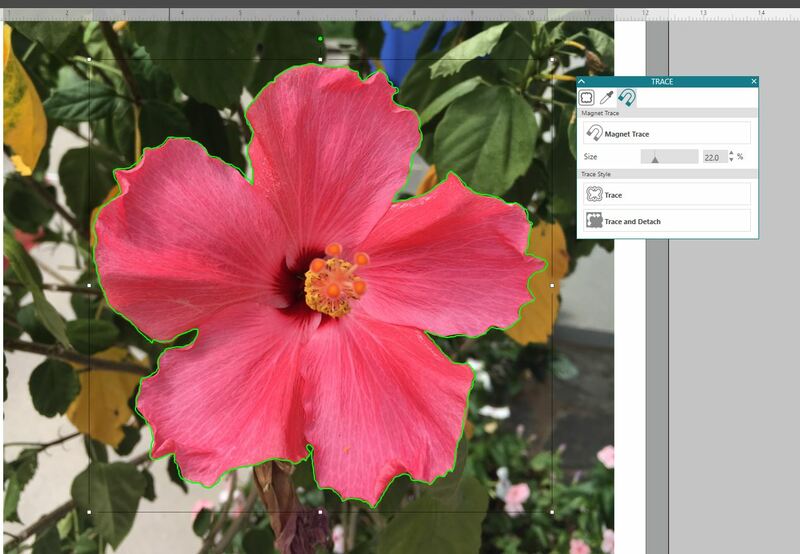 If you click on trace, it will just create a trace lines around the flower. 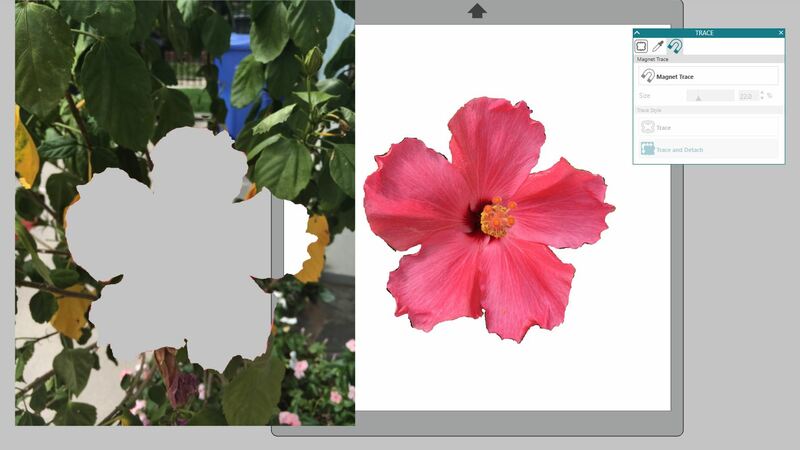 This would work if you were printing the entire photo and wanted to cut the flower out of the photo. Or if you just wanted to use the shape of the flower to create a cut file to cut on a different material. 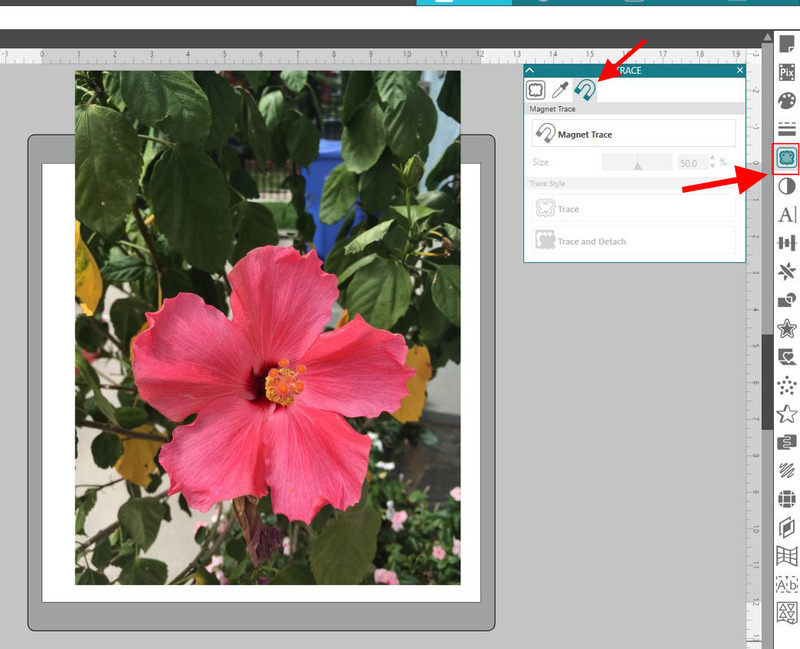 If you want to remove the traced object from the background, click on the Trace and Detach option. This will separate the object you have traced from the background and you can move the background away and delete it. Now, is it perfect - no. After you trace and detach you'll get an even better idea if you need to make more adjustments to the edit points to clean up the edges. Zoom in so you have easier access to your points. 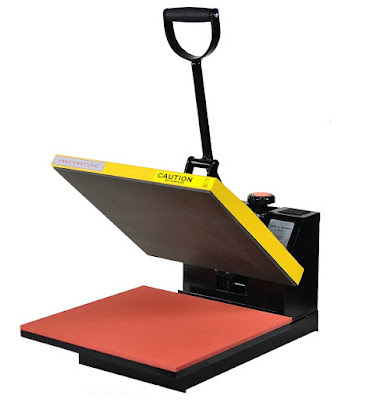 One thing I noticed when working with this magnet trace tool, is that it is very forgiving. Even though I have traced and detached my image, it still remembers the photo image from outside of my traced line. What does that mean? If I move an edit point out away from the flower, it will show the background that was there. Why does that matter? 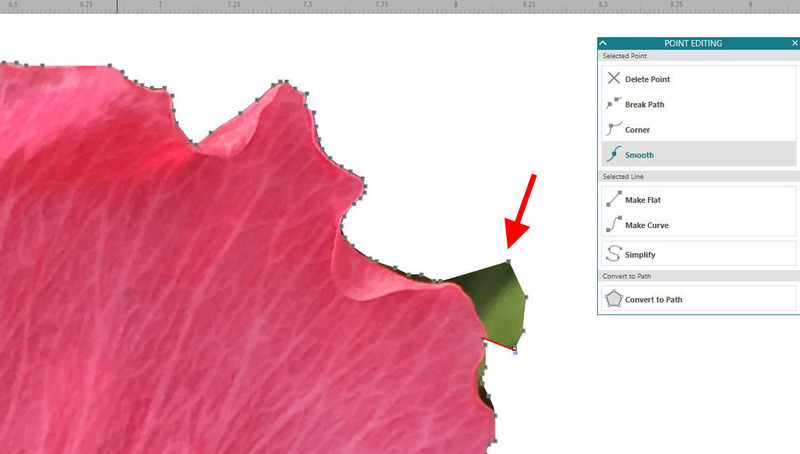 If when I traced the image, I was too far inside the flower edge, I can move those edit points out and correct that. Even though I have traced and detached it from the background, that information is still there and I have more control over how I can adjust my image - this is where Magnet Trace differs from the Subtract or Crop tool. As you can see in my photo above, there are areas that my mouse did not come close to the flower edge. By moving those edit points in and deleting some that are not needed we can make that edge much cleaner. Keep in mind, that you can manipulate multiple edit points by holding down the Shift key and drawing a box to select multiple point, then move them all as one or delete several in an area. You can also change how that edit point acts by moving the blue directional points on each edit point, changing it to a curve, smoothing it out or deleting it. Keep in mind when the Silhouette CAMEO machine cuts, it will be moving to each of these edit points as it cuts the design out. This is why some traced images and .dxf files sound odd cutting or take a long time to cut, because it has to hit every single edit point on the design. 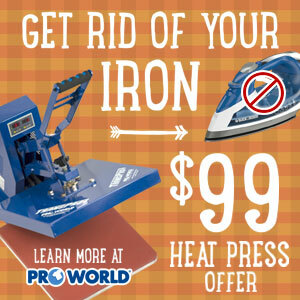 There is absolutely nothing wrong with the machine and it's cutting exactly as you have told it. My flower has a lot of twists and turns and it will have more edit points to achieve that look, then another design might. Here are a few more flowers extracted with the Magnet Trace tool. Now, what would I use this for? 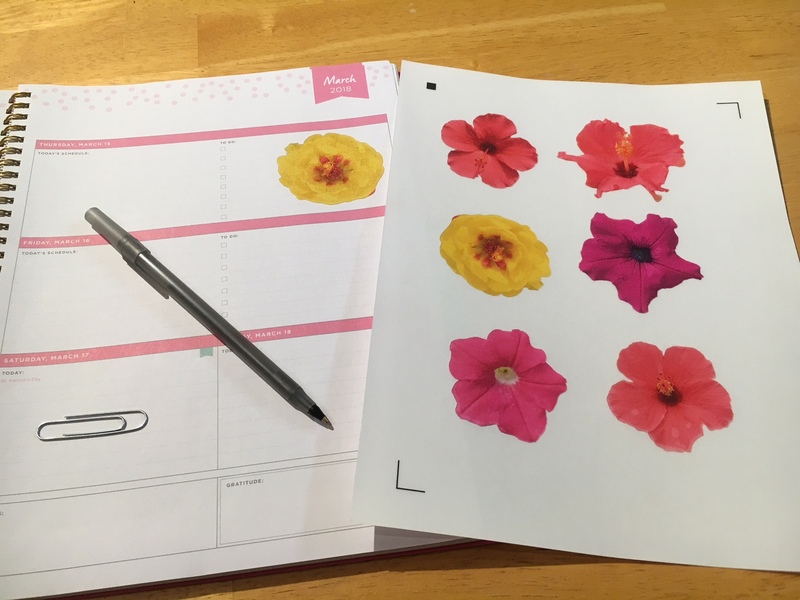 Custom print and cut stickers from photos I snapped this summer, perfect to add a bit of color to my planner. 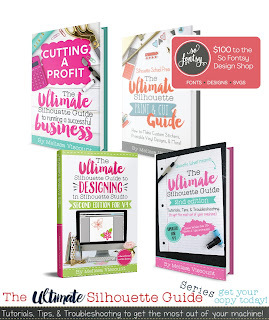 There really are endless possibilities that you can do with the Silhouette Studio software. 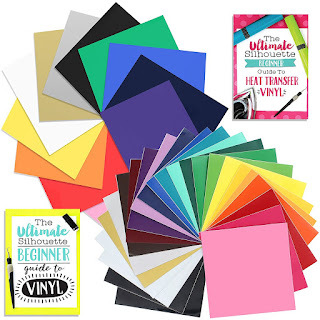 This is a great option for those who do not have a photo editing program or for creating that unique project that you want to cut on your Cameo. 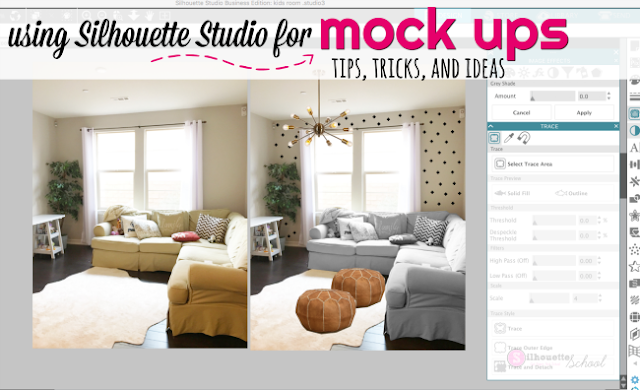 Melissa used Magnet Trace when she was using Silhouette Studio to make mock ups while re-decorating. 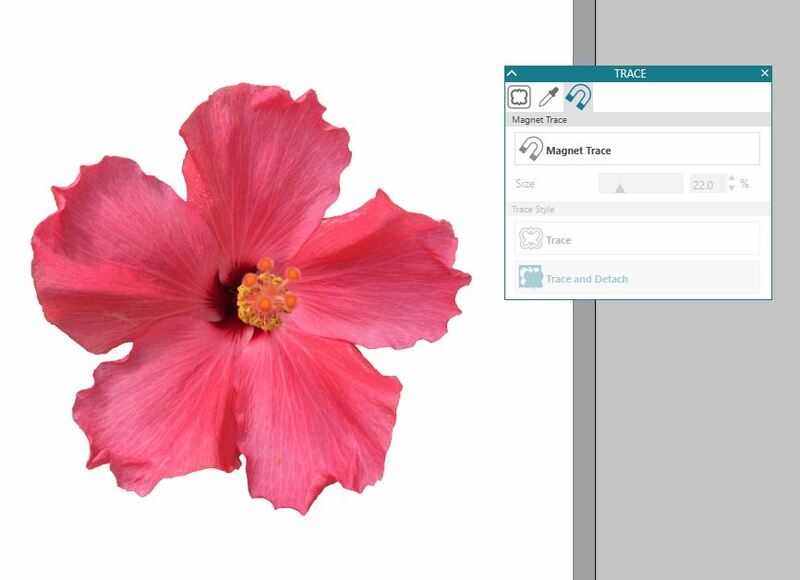 Keep in mind that the Magnet Trace feature is unlocked with the Silhouette Studio Designer Edition upgrade or higher. 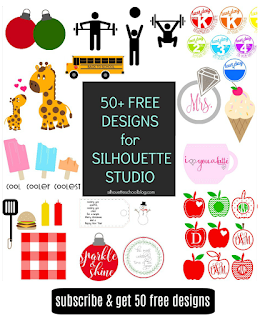 For the other trace options in Silhouette Studio, check out these Silhouette tutorials on Trace and the Trace by Color in Silhouette Studio V4.